VLC Player: Plays the video, but no audio at all and it displays a message saying "VLC does not support the audio or video codec undf"
MPlayer: Just freezes. Does not open the file. It's quite credible that many a person runs into the similar problem of playing MKV on MacBook. As is known to all, MKV, the video file extension of Matroska, capable of storing a numerous audio tracks, multilingual subtitles and rich metadata in one single file is unreadable on MacBook directly. 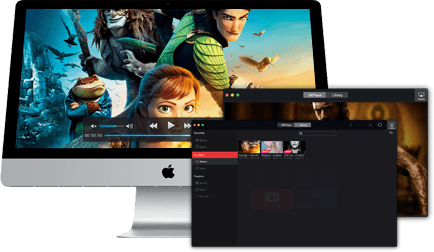 To realize this, it's wise to turn to a MKV player for Mac or a MKV video converter to convert MKV to macbook with other compatible video formats like MP4 or MOV so as to avoid futile attempts on aforementioned methods. 5KPlayer - with 320+ codecs, it can play any videos in MKV AVC, H265/HEVC, H264, MPEG-4, etc., needless to worry about video/audio codec issue. As for video-audio out of trouble issue, it can auto fix this problem to ensure you a smooth MKV playback. If MKV file is severely damaged, you need to repair MKV first. If your 5KPlayer can't normally open MKV files on Mac, probably you need to check if your MKV video is damaged. In case your MKV file is indeed slightly damaged or disturbed by other minor errors, you can have a try on MacX Video Converter Pro to repair your MKV file and convert MKV to MP4 MOV M4V, etc., for smooth playback. 1. Repair corrupted MKV: this MKV video converter can remove the damaged parts from MKV to make MKV regain its health. 2. Change MKV Codecs: if your MKV video player doesn't support one or some codecs, this app supports you to convert MKV codecs to H265/HEVC, H264, AVC, MPEG-4, etc. for better compatibility. 3. Inconformity of MKV parameters: providing your MKV is combined with several different bit rates, resolutions, frame rates, your video player may fail in MKV playback. No worry. 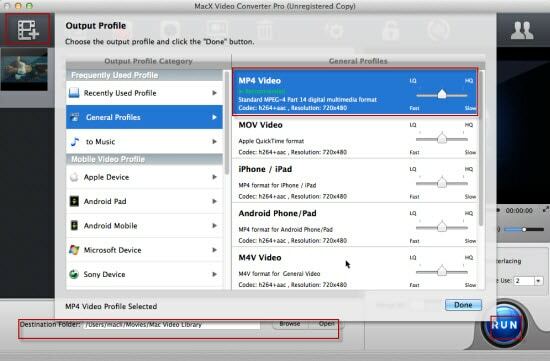 You can use this MKV converter for Mac to adjust parameter settings to the same standard. 4. No.1 fast speed to convert MKV to MP4, MOV, AVI, FLV, WMV, VOB, MPEG, etc. with wider and better compatibility. Step 1: Free download this top-rate MKV converter on Macbook and launch it. Click "Add Videos" to import MKV file you desire to convert. Step 2: Choose the Output Video Format. You can select convert MKV to MP4, MKV to M4V or MOV, Music, MPEG, etc as output format or choose to convert MKV to iPhone, iPad Air 2/Mini 4, iPad Pro, iPod Touch, etc. Step 3: Select an output folder to store your output file and then click "RUN" button to begin to convert MKV to MP4 on Mac. Play Any MKV on Mac (Intact or Damaged): Repair MKV & Convert MKV to MP4!